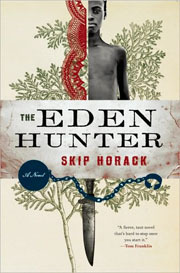 Reading a novel whose protagonist is a pygmy tribesman captured and sold into slavery (and whose canines and incisors have been filed into sharp points), you might become too conscious of the hero’s “otherness.” But this is not the case in Skip Horack’s first novel, The Eden Hunter. 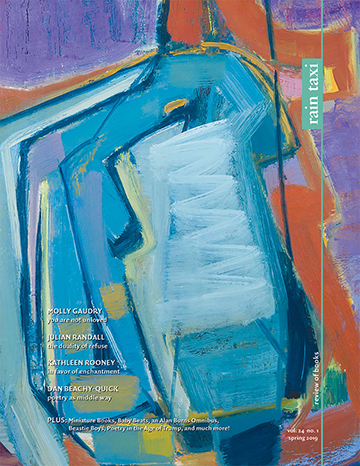 Horack, a former Stegner fellow and the recipient of the 2009 Bakeless Prize for his short story collection The Southern Cross, has here written a novel that is an effective mixture of the empathetic tradition and the best work of Cormac McCarthy. He was lying on his stomach in a purple field of blooming meadow-rue, his face buried in the folds of the saddlebags so as to block out the midday sun, when he heard the low buzzing of a honeybee. For a moment he wondered if all his pining for his home had finally confused his mind. He turned his head and opened his swollen eyes. The bee was hovering close, and he reached for it as if somehow hoping to prove the reality of the thing.